This article finds that high-ranking officials within the judiciary and executive, heads of some organisations, and certain researchers have acclaimed the harmonisation and application of the Popular Dispute Resolution Mechanisms (PDRMs) in Ethiopia’s justice system. To this effect, they have sponsored national and regional forums, conferences and workshops; established research institutions and centres as well as sponsored scholars who conduct research on this initiative. The positive attitude of these stakeholders towards PDRMs, the multiplicity and diversity of PDRMs, as well as the support of various institutions to such initiatives are considered to be good opportunities for the harmonisation and application of these practices in the country’s justice system. 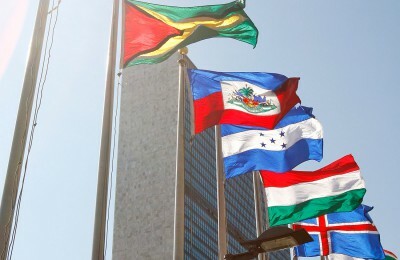 On the other hand, the absence of clear laws and policies related to the legitimacy of the informal justice systems, the level of administration to which they should be accountable, their interconnection with the formal courts and other state structures, the scope of application of their jurisdiction and their financial transactions are found to be serious challenges that demand immediate attention. Some of the hitherto existing research works are found to be scattered, poorly cross-referenced and out-of-the-reach of researchers and readers; while others are shallow in their investigative depth and limited in thematic and geographical coverage. 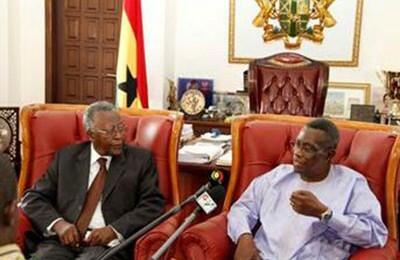 In order to address these challenges and dilemmas, the article recommends the establishment of a new regulatory organ at macro level that has the capability and legitimacy to adapt and harmonise PDRMs in ways that can preserve the traditional African indigenous values and at the same time respect international human rights convention. … has been consumed by strife for most of the nineteenth century and more than a third of the twentieth century. The horrors engendered by violent conflict in Africa are vivid and pervasive, among these: The loss of millions of lives, and the painful displacement of countless citizens and communities; no less tragic is the loss of opportunities and capabilities to improve the lot of the living. 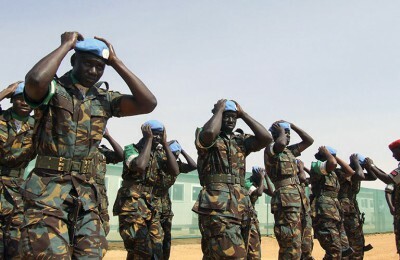 Ethiopia has attempted to solve conflicts of various types either through armed struggles or formal court litigation. 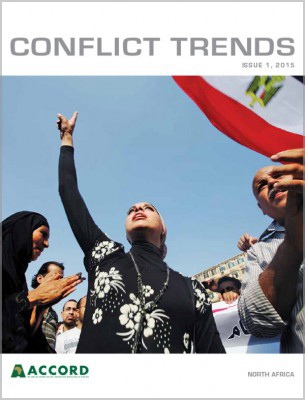 Currently, the international and regional tendencies with regard to conflict resolution mechanisms have shifted towards alternative methods of conflict resolution. After the cessation of World War II, the alleged perpetrators of interstate conflicts, civil wars, genocides and rampant human rights violations across the world were made to face trials before formal courts or military tribunals, but these were found to be inadequate for resolving conflicts and restoring tranquillity. Since the emergence of the Cold War, governments, human rights activists, psychologists, anthropologists, sociologists and political scientists have demonstrated a huge interest in alternative forms of dispute resolution (Harty and Modell 1991). Concerned individuals, communities and organisations started to recognise and appraise the significance of informal or non-state systems and practices of conflict resolution. These systems have been given different names by different scholars: unofficial law (Chiba 1993), traditional institution of conflict resolution (Zeleke 2010), traditional justice systems (Slade 2000), non-state laws (Assefa 2011), customary dispute resolution mechanisms (Yntiso et al. 2011), restorative justice (Macfarlane 2012), and alternative dispute resolution (Gowok 2013). For the sake of consistency and contextualisation of the concept with the Ethiopian situation, I have decided to use the term ‘popular dispute resolution mechanisms’ (PDRMs) in this article. I prefer the term ‘popular’ to others because this word is closely associated with the broad masses indicating that the practice of conflict resolution emanates from the people and serves the people. Africans apply PDRMs although such practices have been seriously challenged since the Era of Slave Trade and Colonialism. Similarly, PDRMs have been acclaimed as popular ways of administering justice even after the introduction of authoritative written laws: such as Fetha Nagast (the Law of the Kings) in the 15th century and the codes of the 1950s and 1960s in Ethiopia (Yntiso et al. 2011). Regardless of their wider popular acceptance throughout the country, PDRMs have been marginalised since the 1950s and 1960s when the imperial regime was engaged in the extensive codification and overhaul of the existing laws with the aim of ‘unifying’ and ‘modernising’ the laws. In the enactments codified at that time, PDRMs related to family relations and interpretations of contracts were incorporated as long as these practices did not contradict the Codes. Most of these conciliatory practices were designed to be used under the supervision and recommendation of the formal courts that functioned under the new Codes. In this connection, the Civil Code of the Empire of Ethiopia (1960: Art. 3347 (1)) stipulates that: ‘Unless otherwise expressly provided, all rules whether written or customary previously in force concerning matters provided for in this code shall be replaced by this code and are hereby replaced’. This has rendered most of the PDRMs illegal. Haile Selassie I, the monarch who spearheaded the ‘campaigns of modernisation’ and codification of the Ethiopian laws in the 1950s and 1960s, along with his legislative team, seem to have been torn halfway between their propensity to overhaul and modernise the laws and their desire to include the rich legal and cultural heritage of the country as can be perceived from the monarch’s words as stated in Fetha Nagast (Tzadua and Strauss 1968:v): ‘No modern legislation which does not have its roots in the customs of those whom it governs can have a strong foundation’. The Codes introduced at that time were, however, highly dependent on foreign experiences; less exhaustive in the content and depth of the issues they covered; less compatible with the conflict management styles of the different ethnic and religious groups; unresponsive to the communal philosophies, life styles and demands of the people; incongruent with the multiplicity and diversity of adjudicative practices and procedures of the people; and alien to the majority of legal professionals, law enforcement agencies as well as the traditional institutions (Schiller 1966; Zeleke 2010; Yntiso et al. 2011; Koang 2011). The laws were also inaccessible to the majority of the population, especially to the rural community. This was demonstrated by the distance between the litigants and the judicial officers, the transactional costs of litigation and the duration of proceedings. In the name of modernising and unifying the laws of the country, ‘fantasy laws’ (Schiller 1966) were imposed on the people. Being cognizant of this fact, most of the people still depend on PDRMs even after the introduction of the new laws in the 1950s and 1960s. Currently, both government officials and researchers have accepted the international and regional tendency to synchronise and apply PDRMs in the country’s justice system. They have demonstrated their commitment by hosting national and regional forums, conferences and workshops; establishing research institutions and centres as well as sponsoring scholars who conduct research on PDRMs. The practical experience of the majority of the people is in favour of this consensus. This is a very great leap forward. However, there are various factors that demand immediate attention. This article attempts to identify the existing opportunities, prospects, trends, challenges, dilemmas and obstacles for the classification, documentation, harmonisation, legalisation and application of PDRMs in Ethiopia’s justice system. PDRMs are more relevant to the African condition than the formal mechanisms. The first reason is related to the philosophical background upon which the concept of conflict resolution is based. The Westernised dispute resolution mechanism bases itself on the philosophy of individuals: the liberty of an individual, private ownership of most means of production and the obligation of individuals to indefinitely contest to be the winner. On the contrary, the African PDRM bases itself on the philosophy of communalism where the plight of an individual is achieved, protected and restored through the primacy of societal welfare, and where the view is that if the communal norms, values, traditions, practices are healthy, an individual will be healthy (Chiba 1993; Mekonnen 2010; Elechi et al. 2010). 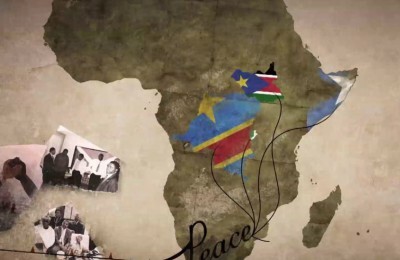 The second reason that makes PDRMs relevant to Africa is related to the recurrence of interstate wars, civil wars, and genocides that haunt the continent and its people due to an alien epistemology imposed through Western education and political intrigues networked across the continent by foreign hegemonic powers that make profits out of conflicts. Attempts to solve the African interstate, tribal, marital, religious and personal conflicts through Westernised court proceedings or regional or international tribunals failed to meet the popular demand of the war ravaged Africa because these proceedings are alien and sometimes contrary to the norms, demands and values of the African people (Okereafoezeke 2002; Jenkins 2004; Yntiso et al. 2011). The third reason for the preference of PDRMs above state court proceedings or international tribunals is the familiarity of the PDRMs to the African people. They have been used by various ethnic groups over millennia. The procedures and the implementation of the verdicts are akin to the norms, ideology and social psychology of the people (Elechi et al. 2010; Yntiso et al. 2011). The verdicts are often given by honoured and venerated elders. It is believed that these elders communicate with powerful spirits that can have an influence on the disputants and even their descendants if they refuse to obey decisions or if they tell lies in a forum (Koang 2011; Woubishet 2011). This makes the PDRM a better means of investigating criminal or immoral offenses perpetrated in the absence of any evidence. It compensates for the absence of sophisticated forensic capability in the traditional communities. The proceedings are mostly carried out in a public manner. The wrongdoer, the victim and other members of the community participate in the debates. The procedures of PDRMs are more flexible as compared to those of the court proceedings (Zeleke 2010; Woubishet 2011). Having recognised the significance of PDRMs, the government of Ethiopia, various non-governmental organisations, individual researchers and institutions have attempted to lay the foundations that could promote the application of PDRMs in the country’s justice system. As part of this commitment, the government has supported the establishment of the Institute for Peace and Security Studies (IPSS) at Addis Ababa University and the Ethiopian Arbitration and Conciliation Centre (EACC). Both these institutions promote the significance of PDRMs in Ethiopia. The most important contribution of the IPSS was demonstrated through its success in organising the first Tana High-Level Forum on Security in Africa in the city of Bahir Daron on 14–15 April 2012. The participants of the Forum included various stake holders from different sections of society. 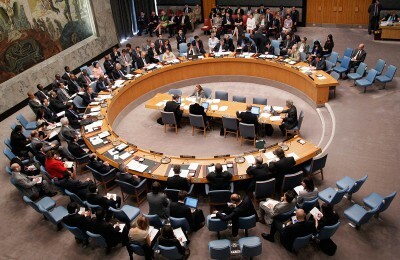 The meeting demonstrated the Ethiopian government’s desire to entertain informal methods of conflict resolution. We have chosen the Baobab tree as a symbol of the Tana High-Level Forum; indeed we are going to talk under the tree here in the hall, in the best of African traditions. The tree symbolizes the importance of dialogue as a key aspect of conflict resolution and instituting peace and security. Meeting under the tree stands for the traditional values of love and brotherhood, hospitality and communalism of Africa. It also stands for the ethical principles of justice, reciprocity, equity, integrity and honesty. The Tana Forum challenges us to become ever more steadfast in pursuing these values and virtues. As expressed in the words above, Africans have a special spiritual bond with a tree. 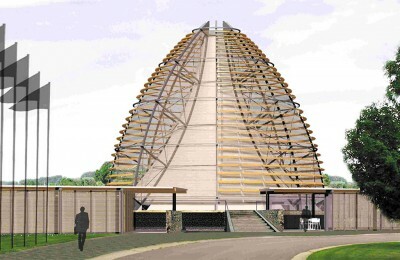 It is a temple where the African ancestral spirits yield power to influence and guide the living in a symphony of hospitality and communal safety; a forum where the living pay tribute to the dead and vow to respect the communal indigenous values that connect the fabric of brotherhood, mutual concern, selflessness, commitment to protect natural and manmade disasters; a court where the wrongdoer is cleansed and the victim compensated; a school where the young are taught to become future leaders; a clinic where the sick are healed from spiritual and physical illnesses. 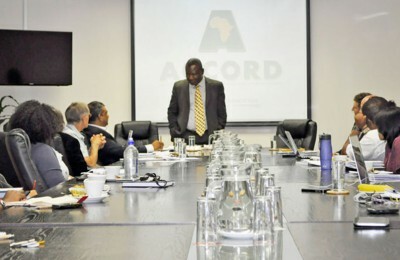 This Forum heralds the commitment of African decision-makers in general and the Ethiopian government in particular to shift from formal methods of conflict resolution that are borrowed entirely from Western epistemology to indigenous African methods of conflict resolution that favour African philosophy and cosmology. The Forum has raised awareness for the introduction and application of PDRMs in the Ethiopian justice system. The second important non-profit making organisation that assists PDRMs in the country, the EACC, was established with the support of the government and other stake-holders, in August 2004, with the aim of facilitating and promoting the application of PDRMs in the justice system of the country. Since its establishment, it has hosted training workshops and forums; organised and funded research on PDRMs of various ethnic groups and published the findings in order to facilitate scholarly communication about the nature and applicability of PDRM’s in the country. [T]o advance the cause of peace in Africa, we must look beyond the norms and practices of states and intergovernmental institutions. The existence of an ethos upholding a culture of peace among ordinary citizens is essential if intercommunal violence and the all too common unspeakable abuses of children and women in Africa’s wars is to be checked. For this, too, fora such as this [the Tana High-Level Forum] engaging leaders and ordinary citizens in reflective conversation on peace are vital. Eshete’s statement indicates the growing support of the Ethiopian government for PDRMs, hence opening the opportunity for research concerning the application of traditional conflict resolution mechanisms in the country’s justice system. Side by side with the judiciary, there are numerous alternative dispute resolution mechanisms which have become prominent in the contemporary period. In any kind of the relationship she [Ethiopia] establishes with other countries of the world, our country like other similar states has been endeavoring and is continuing to make endeavors to put in place alternative dispute resolution mechanisms. In his subsequent speech, Birhanu advocated the importance of designing new laws related to Alternative Dispute Resolution mechanisms. He also promised to offer his unreserved assistance to such endeavours. That workshop was convened to discuss a draft law on Alternative Dispute Resolution mechanisms related to contract administration only. The draft legislation was too limited in scope and content to be considered as a document that provides the legal framework for full-scale implementation of PDRMs in the country. It can, however, be regarded as a symptom of the positive attitude of the country’s top officials towards PDRMs. As indicated in the discussion above, the heads of some African countries and the Ethiopian officials have decided to reconsider the position of PDRMs in their countries’ justice systems. There is a need for careful and systematic comparison of the formal and informal approaches of conflict resolution in all aspects in order to take the merits of each and design a new justice system that serves the people. This section focuses on the challenges and dilemmas that could be encountered in an attempt to design policy matters and regulatory laws related to the application of PDRMs in Ethiopia. The challenges and dilemmas that are focused upon in this article are related to the negative attitude of some scholars and institutions towards PDRMs, the absence of policies and laws that recognise, legitimise or specify the level of administration PDRMs should be accountable to, the unclear interconnection of PDRMs with the formal courts and other state structures, and unregulated financial transactions within PDRMs. The consensus reached by stakeholders and researchers about the importance of the wider application of PDRMs in both urban and rural populations will not be a success unless the severe challenges related to these issues are solved. In the early 1960’s CDRMs [Customary Dispute Resolution Mechanisms] were criticized as difficult to ascertain because of widespread variation and labelled (sic) as ‘primitive laws’ hence implying ‘inferior laws’ compared to the formal law (this was the conception prevalent during the making of the codes in Ethiopia). The latter scholars disclose the shortcomings of PDRMs based on the critical observation of the drawbacks of PDRMs in the treatment of women, children and the despised classes. There are situations when women, for example, become objects of compensation to avoid blood feuds – leaving alone all the cases where they do not get fair treatment for themselves as disputants. Abbute (2002), as quoted in Assefa (2011:193), describes the rituals of ‘… giving away of a girl during the reconciliation process between the feuding clans’ of the Gumuz community in Ethiopia to ‘be used by the victim families in any way they wish …’. This tradition is very common among different ethnic groups in the country (Birhan 2011). Similarly, the despised classes of different kinds are either victimised by the PDRMs’ verdicts or attacked as scapegoats (as ways out of certain alleged social evils) (Wodisha 2011). Therefore, it is difficult to disregard the view of these scholars, since their concern is not merely attitudinal. It is obvious that PDRMs mostly favour the dominant local chiefs and religious leaders who do not see women and ordinary people as equal citizens. Despite their enormous benefits, PDRMs include some embarrassing and inappropriate practices for modern African states that have signed international human rights agreements and norms. The dilemma here is to choose between appropriating their advantages and maintaining human rights conventions. This is, of course, a demanding task awaiting stakeholders who would do regulatory work on the applicability of PDRMs. The negative attitude towards PDRMs is not limited to the law scholars mentioned above. Israel (2011) observed that some followers of Christianity (mainly Protestants) and Islam condemn certain rituals and folk materials of the Gada system among the Borona Oromos as ‘pagan’ practices and artefacts that should be abolished. Religious fanatics hold that some of the practices and procedures of PDRMs are dominated or accompanied by practices related to ‘sorcery’ and ‘witchcraft’, which in their opinion, should be regarded as the outcomes of ‘evil’, ‘ignorance’ and ‘backwardness’. This is one obvious challenge which could be extremely complicated to solve if it is wrongly handled. Ethiopia is one of the few African countries that embraced the three major Abrahamic religions, Judaism, Christianity and Islam, at the early phases of their expansion. All these religions advocate monotheism and condemn the practising of rituals with regard to ancestral spirits, and beliefs in the influence of the spirit of the dead upon the living, and in magicians being spiritually possessed. It would, therefore, be reasonable to see the inherent contradictions of value systems even within the practices of different PDRMs themselves. For thousands of years, there existed a coalition of the conflicting values which rested on the practical wisdom of the people. In this connection, Birhan (2011) describes a miraculous ritual conducted together by both Muslim and Christian elders in order to resolve a blood feud between the families of murderers and those of victims in the Southern Wello of the Amhara Region. In the pre-conciliation stage, Christian and Muslim elders, accompanied by many people, march to the victims’ houses and villages, attired in their own respective formal dresses and bearing their own symbolic object – the former carrying a cross, a big umbrella and a picture of Saint Mary while clicking cistern cymbals; the latter a bow and an arrow in order to influence the victims’ family to be ready for reconciliation. During the conciliation stage one of the victims’ families cuts off the neck of an old barren black sheep. Then, the sheep is made to stand upright on its four limbs as if it were alive facing the north. While the victim’s family stands on the right of the sheep and the murderers’ family on the left, they pierce the belly of the sheep with knives on each side. Next, they shake hands with each other passing their hands through the pierced belly of the sheep. Then all of them pull the entrails and drag it out. This symbolises the union and reconciliation of both parties from the bottom of their heart. The important point is that under normal circumstances, Ethiopian Muslims and Christians neither touch nor eat an animal which is slaughtered by the other party. For the sake of conflict resolution, however, they temporarily perform the rituals together. When they enter their hands into the pierced belly of the sheep which is killed by a person whose religion is different from their own, they do not mind touching the blood. The procedure is the same whether the conflict is between followers of the two religions or of one of them. The unity of the believers of Christianity and Islam demonstrates the unchallenged harmony of the followers of both religions across millennia, at least in the Ethiopian context. This shows that having differences in belief systems by itself is not a source of conflict as long as people are committed to live together in peace. Modern lawmakers should not be frustrated by the multiplicity and diversity of rituals and religious practices. If wrongly handled, different belief systems could be a source of conflict and a severe challenge. Some religious believers, apparently committed to religious fundamentalism, tend to denounce indigenous customs, and such practices demand immediate intervention of the stakeholders concerned before misunderstanding develops into physical confrontation. In order to avoid the negative attitudes of different institutions or individual personalities, activities that raise awareness are recommended as a solution. Governmental, non-governmental and civic organisations should raise the awareness about the importance of PDRMs. The new generation must have an appropriate understanding of PDRMs. The essence of PDRMs should be published by the media and included in other ways of socialisation. Non-governmental organisations must also convene communication forums on PDRMs. The second sensitive challenge is related to the absence of a policy direction and comprehensive laws that deal with the legalisation, institutionalisation, and synchronisation of PDRMs within the country’s justice system. The references in the Constitution and the few provisions stated in the Civil Code are limited to family and contractual relations. These few, scattered, ambiguous and shallow enactments are negligible when they are seen in the context of the proliferation of the wider corpus of the PDRMs in the country. The Afar and Somali Regional States have included some rules that legitimise certain PDRMs in their own respective regions’ constitutions (Yntiso et al. 2011). This is an example for other regions to follow. Before the other regions include their own PDRMs in the same manner, a comprehensive legal policy should be developed and endorsed at a national level in order to authorise the establishment of certain institutions that could facilitate the legalisation, systematisation and synchronisation of PDRMs in the Constitution as well as in the Civil and the Penal Codes. Currently, PDRMs in the whole country function in their own distinct ways. All Shimagles (elders) of Tigray (Assefa 2011) and Amhara (Alemu 2011), Qualus and Aba Gadas (elders) of Oromo (Israel 2011), Earth Priests of Nuer (Koang 2011) and the Boro-Shinasa’s Iketsa (Witch) (Wodisha 2011) have their own distinct methods of fact-finding procedures and peculiar ways of giving and enforcing their decisions. When we think of including them in the formal justice system, it is very difficult to include some mechanisms while others are excluded. This in turn might cause ethnic or religious conflict among groups whose PDRMs are recognised and those whose PDRMs are rejected. Under such circumstances, there is a possibility for PDRMs to function as breeding grounds of conflict instead of as mechanisms of conflict resolution. If we try to include all of them in the formal law of the country, it could be an unhappy marriage of an incongruent mosaic of cultural experiences. While there are different, even at times contradictory, practices, it might prove to be difficult to consolidate all these practices. If we try to include them in the specific scenarios where such experiences prevail, efforts should also be made to resolve intra-ethnic, intra-linguistic and intra-religious conflicts. Another issue worth discussing is related to the controversy of legitimising spirit mediums as PDRMs. Some elders claim to use spirit possession in all their reconciliatory activities. For example, the investigation of the wrongdoers is done through the medium of supernatural powers as in the case of Ye Shakoch Chilot (the court of the sheiks) (Zeleke 2010), the Boro-Shinasha’s Iketsa (Witch) (Koang 2011) and the Northern Shewa’s Wofa Legese’s Wuqabi (Woubishet 2011). These rituals are considered to be very effective means of investigating criminal activities for which evidence could not be produced. However, it would be difficult to recognise and include them in the formal laws because of the following reasons. If these practices are permitted, there would be an endless number of requests for recognition from magicians who claim to have supernatural possession. According to some reports from law-making and law-enforcing state organs, many magicians who claim to possess supernatural powers are reported to have caused disastrous damage on human health, life and property. Identifying ‘honest supernatural possession’ from ‘dishonest supernatural possession’ is extremely difficult. While society accepts the legal effect of PDRMs, the Constitution as well as the Civil and Penal Codes reject PDRMs as null and void when these practices are in contradiction with the formal laws. If traditional practitioners who mediate or reconcile conflicts through the medium of spirits are accused of sorcery and witchcraft, there is no legal provision that can be quoted to their rescue as long as magic is considered to be a criminal offence in Ethiopia. Should some seemingly odd but widely accepted practices such as administering justice through a revelation of supernatural spirits be offered a license to administer justice when it is impossible to identify ‘a true magician with sincere supernatural possession’ from ‘a fake magician with fraudulent mystic possession’? Could that be justified scientifically or logically? Such questions might put lawmakers into dilemmas or bring them into conflict with one another. It requires inquiries into international, but mainly African, practices to handle this issue. The third challenge that needs attention is the institutionalisation of PDRMs in regard to content administration and jurisdiction. Currently, traditional institutions administer almost all kinds of disputes ranging from petty offences, civil cases, such as financial, familial and contractual disputes to first-degree murder cases and blood feuds. Regarding their geographical or regional coverage, some of them serve whoever comes to their forum (Zeleke 2010; Woubishet 2011) while others are limited to serve restricted societies within limited geographical locations (Koang 2011; Wodisha 2011; Israel 2011). When PDRMs are officially recognised as legal entities, their contextual and regional jurisdiction should be limited by law. Another issue which is directly related to the legitimacy and institutionalisation of PDRMs is whether or not they should be accountable to a particular state organ: the judiciary, the legislative or the executive or any other commission or institution that could be established in the future. Currently, certain PDRMs that are practised by individuals with ‘spiritual possession’ are not accountable to any administrative body (Zeleke 2010; Koang 2011; Wodisha 2011). The practitioners merely enjoy the trust of their customers. They serve as supreme courts that offer final decisions without chance of appeal. In other instances, state organs administer the PDRMs. 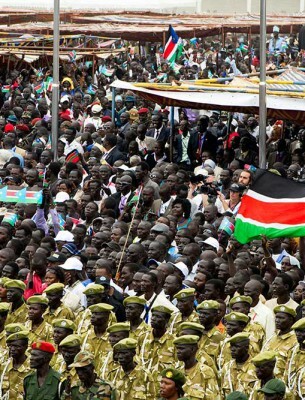 In some administrative zones like Gambela, traditional conflict resolution mechanisms of the Nuer community are administered by men who were directly appointed by the government as local chiefs. According to Koang (2011:413), ‘the advent of government brought in a new institution manned by chiefs and Kebele (the smallest administrative unit of the executive wing in Ethiopia) executives, who have continued to use customary laws to resolve conflicts’. Koang observed that the amalgamation of the laws on PDRMs within the state machinery brought about rampant corruption, people’s mistrust in the PDRMs’ integrity, and confusion about formal and informal norms. Currently the social courts as an institution seem to be at crossroads. In practice, there is widespread confusion as to whether to maintain them as social courts – institutions for resolving root causes of social ills in every tabia/kebele (hence more in line with the role of Shimagles [elders]) – or if they would best serve as a lowest unit within the regular court administration. The practice, contrary to law, indicates that the young and productive forces and women constitute the lion’s share of the judges in the social courts, and this composition has created some problems. What is evident is that these social courts are, practically, neither PDRMs nor the lowest wings of the judiciary. This creates problems in the administration of justice. The members of the social courts are very young. Due to this, the society could not render them the kind of respect that is given to revered elders (Assefa 2011). Some of the members of social courts lack the wisdom and ethics of elders because of their age and experience. The social courts do not exercise the power of the formal court for most cases because they are not granted that legitimacy (Assefa 2011). This indicates the confusion of the two systems. In the Amhara Regional State, executive organs have attempted to organise elders who are entrusted with reconciling conflicts and avoiding blood feuds. Alemu (2011) argues that these elders cannot play the roles expected of them because they are not authorised by the people according to traditional norms. In this specific tradition, selecting elders for reconciliation is the exclusive right of the disputants only. The interference of the state organs with the PDRMs demands caution. From the case studies (Assefa 2011; Alemu 2011; Koang 2011) and other contexts, it is possible to conclude that the interference of state organs in PDRMs resulted in chaos. Though there is necessity for caution, in fact there is also a lack in the attempts to legalise and regulate the activities of PDRMs at a national level at this time. But to make useful intercessions, concerned stakeholders should urgently issue laws that clearly regulate the types of cases that should be administered by PDRMs. The horizontal and vertical relationships of PDRMs with the judicial, executive and legislative organs of the state as well as non-governmental and civic organisations should be clearly stated. Of the existing state organs and non-governmental and civic organisations, there seems to be no entity that has the capability and legitimacy to accomplish the institutionalisation of PDRMs due to the difficulty and complexity of the task. As a way out, this article recommends the establishment of a special commission for the legalisation, harmonisation, and application of PDRMs in Ethiopia. The applicants pay the chiefs a service charge ranging from 120 Birr [approximately 6.6 USD] for an ordinary case such as theft, farmland disputes or debt claim, to a cow worth 1000 Birr [approximately 54 USD] or more for such cases as initiating divorce. However, some of these cases can be initiated for free and others for negligible costs in the formal courts of law. The absence of clear laws related to financial transactions of PDRMs motivated the greedy chiefs to bulge their pockets with the money collected from the poor in the form of service charges. Even after the payment of such huge money, justice is not guaranteed for some chiefs are said to be corrupt. Koang’s informant summarised the exploitation as: ‘”You claim a cow by giving another”‘ (2011:415). This means disputants establish a case for almost the same amount of money they claim to get after they win a case. They are, therefore, forced not to claim their right. Similarly, the Abba Gada elders of the Borona Oromo community are observed taking some unfair benefits under the pretext of service charges. Israel (2011:320) reveals these corrupt practices as he quotes his informant: ‘”They [the elders] cannot help you without it [liquor], at the same time they cannot help you with it because they get drunk after they consume it”‘. In the Oromo’s traditional socio-political system (Gada), taking liquor is prohibited. Contrary to the norm, the elders consume alcohol, which they get in the form of bribe. The corrupt practices of the Sefer Chiefs of the Nuer community and Abba Geda elders of the Borona Oromo ethnic group demonstrate the absence of rules and regulations of monetary transactions of PDRMs. It could also be regarded as a symptom of the bastardisation of culture due to the influence of Western culture and urbanisation. The other financial matter that should be considered is the budget to be used by personalities or offices that could be established to legalise, synchronise, and harmonise PDRMs at macro level. The task is extremely huge and complicated, and will need a substantial budget. As a way out, the stakeholders who have demonstrated their commitment to do their level best should consider this concern during the regulatory tasks. On the other hand, PDRMs could be a source of funds to the government. Some of the practitioners of PDRMs collect huge sums of money during conciliatory rituals and peace forums; but, they do not pay income tax to the government. They have to contribute money to the national coffers. This new endeavour could face massive resistance since they have not been accustomed to it. This article suggests that the government has to convince them to pay income taxes. 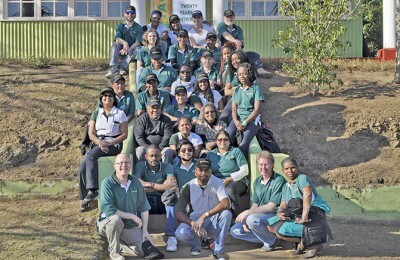 The money that could be collected in the form of tax can be used to assist individuals and institutions that work for the legalisation, synchronisation and harmonisation of PDRMs themselves. The fifth challenge is related to the unclear and unspecified relationship between PDRMs and formal judicial organs of the state that results in conflict. Whether any one likes them or not, whether they have limitations or not, both PDRMs and formal judicial systems are existing realities currently dealing with conflict resolution practices throughout the country side by side. There should be a smooth relationship between the formal and the informal ways of conflict resolution. If there is conflict between two systems, the whole justice system will become chaotic. Some researchers have observed a lack of interface and sometimes a contradiction over jurisdiction. In dealing with certain conflicts, there are incidents where one case is treated by both methods. Birhan’s (2011) case study, unveiled a double jeopardy in the case of two individuals who were accused of homicide. The traditional justice system, Amare’s Justice Forum in Wegdi and Borona Districts of Wello Zone (translation mine), had already finished the case in such a way that the families of the victims and the perpetrators committed themselves to stay away from blood feud, the traditional cultural practice that motivates endless killings among conflicting groups. Through the majestic rituals accompanied by oaths, the feeling of revenge was already transformed into a normal relationship. The perpetrators were already made to compensate a lot of money, as seen locally, to the victim’s family. Disregarding all these efforts, the judiciary and the executive organs decided to jail the perpetrators until sufficient evidence was sought. The elders attempted to protect their cherished custom by advising all members of the community not to cooperate with the police and the court in the prosecution of the two individuals by withholding evidence and witnesses. This delayed the prosecution of the prisoners who were already corrected by their cherished justice forum. The conflict of the two systems exposed the perpetrators to double jeopardy. It also undermined the efforts of the elders which prevented the blood feud that could have taken the lives of many other citizens. This, in turn, encouraged another conflict among the people who had already settled their case. One of the main challenges of legal pluralism in Ethiopia today is the determination of which body should be the highest judicial body that could give a conclusive end to claims that have been submitted to the customary and religious courts. For example, should the final decision of the highest religious or customary court be subject to review by the ordinary courts, or for that matter by the highest ordinary court? This issue has been a battle ground between the liberal outlook and that of the supporters of more autonomy for cultural or self determination rights of ethno national or religious groups. The issue really is a ‘battle ground’. The proponents of traditional culture believe that cases that are already handled by cultural or religious courts (PDRMs) should be finalised within the context of their system and should not be obstructed by the formal courts at any level of jurisdiction. On the contrary, liberal and human rights activities believe that the decisions of PDRMs should be reviewed by the relevant courts. The divergence and conflict of the two systems can be eliminated if stakeholders and practitioners of both systems are aware of the damages that have been caused by the unhappy marriage of the two systems. It is not conducive to social harmony to mix the two systems as was done within the Nuer community before thorough studies were conducted. In order to solve this problem, the society and the practitioners of the two systems should communicate and learn from one another. The formal system has to accept the PDRMs as permanent partners. Practitioners of PDRMs have to be convinced to eliminate the obvious human rights violations against women, children and the despised class. The proposed regulatory commission would facilitate the determination of these issues. Regardless of the inclination of stakeholders to integrate PDRMs in the justice system of Ethiopia, there are many factors that need to be researched before the institutionalisation of PDRMs can be effected. First, the interconnection and interdependence of the formal (adjudicative state structures) and the informal (PDRM) systems are neither properly assessed nor documented. It is not well studied how the legislative, judiciary and executive organs of the state at all levels of jurisdiction understand and support the functioning of PDRMs. Reciprocally, the attitude of the practitioners and advocates of PDRMs towards the formal system is not fully investigated. It is perceived that a lot of people solve their conflicts through PDRMs. However, the reasons for the people’s preference of the informal system to the formal one are not sufficiently studied. Related case studies such as Zeleke’s (2010) are very limited in scope. This creates a dilemma for the people, the practitioners of PDRMs and the authorities in different organs of the state. Second, there are not yet sufficient research findings about the conflicts between the formal and informal systems of conflict resolution. No directions are outlined regarding the mechanisms by which the formal and informal systems could be assimilated with each other. 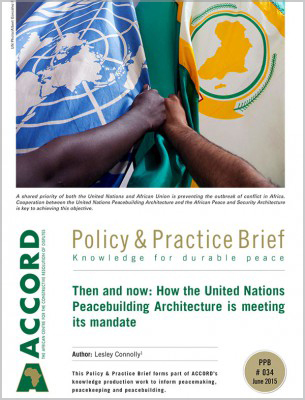 Except for limited attempts, the applicability and adaptability of the norms and practices of the PDRMs in intra- and inter-group conflicts are neither sufficiently studied nor documented. As a solution to this problem, the possibilities of the future coexistence of multiple systems of conflict resolution and the ways of resolving tensions between them need to be examined. Since most studies are scattered, inaccessible, and inadequately cross-referenced, little is known about their coverage in terms of analytical depth, thematic focus, cultural backgrounds, and geographic locations … The dream of every applied research is to influence policy to recognize and accommodate informal justice. In the absence of comprehensive knowledge and comparative analysis, influencing policy is tantamount to wishful thinking. It is estimated that the number of PDRMs in Ethiopia could be more than seventy. Of this huge heritage repository, researches have thus far focused on the PDRMs of only a few ethnic groups that were easily accessible. There are ethnic groups whose PDRMs have not yet been explored. Even the studies conducted on PDRMs of the same ethnic groups are insufficiently ‘cross referenced’ (Yntiso et al. 2011:473). Unnecessary repetitions pervade the research corpus. By their very nature, PDRMs pass from one generation to the other by word of mouth. Unless massive work is done to preserve this exquisite knowledge, it will be lost through urbanisation, Westernisation and acculturation. Generally, exhaustive research is required in order to achieve comprehensive knowledge that can influence policy matters at macro level. In spite of the wider popular approval of PDRMs in Ethiopia, these practices have been marginalised since the time of the codification of the Ethiopian laws in the 1950s and 1960s. Currently, the real situation of the broader use of the PDRMs among most Ethiopian people as well as the international and regional tendency to shift from formal methods to PDRMs seem to have influenced the Ethiopian situation. Top officials within the executive and the judiciary, research institutions, and certain private researchers have acclaimed and supported the harmonisation and application of PDRMs in Ethiopia’s justice system. In order to accomplish this objective, these stakeholders have hosted national and regional conferences, workshops and forums; founded research centres and institutions and funded academics who conduct research on PDRMs. The positive attitude of these stakeholders towards PDRMs, the multiplicity and diversity of the PDRMs in the country, and the assistance of various organisations to promote PDRMs are considered as positive situations and initiatives for the harmonisation and application of PDRMs in the country’s justice system. 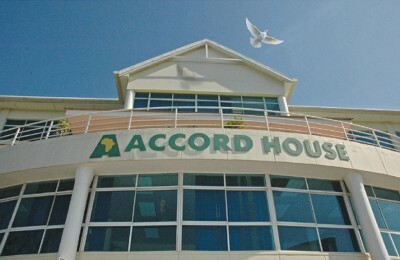 On the other hand, there are no clear laws and policies related to the legitimacy of PDRMs, the level of administration they should be accountable to, their interconnection and interdependence with the formal courts and other state structures, and the scope of application of their decisions in respect of content, jurisdiction and financial transactions. These challenges require urgent consideration. While these challenges and ambiguities exist, it is difficult to regulate policies and ratify laws that can accommodate PDRMs in the justice system. First, the existing situation should be rigorously assessed through research. Some of the research results to date are unorganised, poorly cross-referenced and out-of-the-reach of researchers and readers; while others are shallow in terms of investigative depth and scanty in thematic and geographical coverage. Therefore, the information acquired through research is not sufficient to influence policy directions or to stimulate the making of regulatory laws that could solve the challenges and dilemmas stated above. Generally, great effort should be exerted to assess the huge corpus of PDRMs that are practised within this multi-ethnic and multi-religious country. This article recommends the foundation of a special commission for the harmonisation of PDRMs in Ethiopia’s legal system. The proposed commission should consist of multidisciplinary specialists, representatives from all governmental, non-governmental and civic organisations, the practitioners of both formal mechanisms and PDRMs, mainly elders and judges, private intellectual researchers as well as organisations currently dealing with PDRMs. The commission should include experts from countries that have been involved in the harmonisation of their own informal justice systems. Due to the urgency and difficulty of the matter, a special mandate should be given to the proposed commission to facilitate critical and constructive debate among practitioners of PDRMs and academics; compare and contrast varieties of ideas and viewpoints of various peoples across the country and from institutions working on peace research; narrow the disparity between practice and theory in the area of conflict prevention, resolution and transformation; draft new accommodative regulatory laws of PDRMs; receive feedback from stakeholders; and monitor the passage of the new legislation. Abbute, Wolde-Selassie 2002. Gumuz and highland settlers: Differing strategies of livelihood and ethnic relations in Metekel, North-Western Ethiopia. M.A. Thesis, Addis Ababa University. Alemu, Kasaya 2011. Blood feud reconciliation ritual in Salo Mama Midr District, Northern Shewa (translation mine). In: Yntiso et al. eds., pp. 134–156. Assefa, Fiseha 2011. Customary dispute resolution mechanisms in Tigray. In: Yntiso et al. eds., pp. 361–386. Assefa, Getachew 2011. Federalism and legal pluralism in Ethiopia: Preliminary observations on their impacts on the protection of human rights. East African Journal of Peace and Human Rights, 17 (1), pp. 173–194. Birhan, Assefa 2011. Amare’s justice forum in Wegdi and Borona districts of Wello zone (translation mine). In: Yntiso et al. eds., pp. 157–180. Birhanu, Tsegaye 2011. The function of ADR in Ethiopia. A minute of the workshop on alternative dispute resolution (ADR) in Ethiopia: Challenges and prospects, 5 March, in Addis Ababa, Ethiopia. 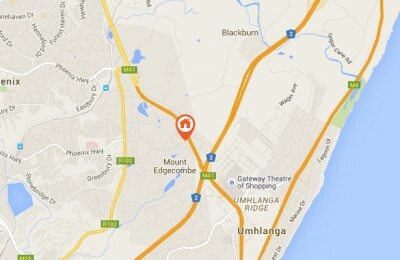 Available from: <www.eacc.com.et/index.php?limitstart=8> [Accessed on 20 June 2013]. Chiba, Masaji 1993. Legal pluralism in Sri Lankan society: Towards a general theory of non-western law. Journal of Legal Pluralism and Unofficial Law, 33, pp. 197–212. David, Rene 1962. A civil code for Ethiopia: Considerations on the codification of the civil law in African countries. Tulane law review, 37, pp.160–189. Elechi, O. Oko, Sherill V.C. Morris, and Edward J. Schauer 2010. 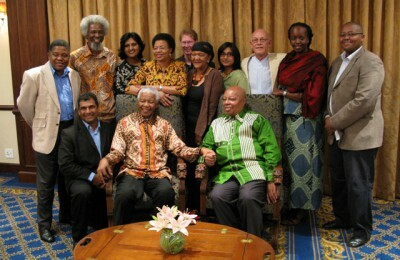 Restoring justice (Ubuntu): An African perspective. International Criminal Justice Review, 20 (1), pp. 73–85. Feyissa, Girma 2014. Elders: Bridges of harmony. Addisfortune (the largest English weekly in Ethiopia), 14 (720), 16 February. Available from: <www.addisfortune.net/columns/elders-bridges-of-harmony> [Accessed 27 February 2014]. Gowok, Shipi M. 2013. Alternative dispute resolution in Ethiopia – A legal framework. 3 June. Available from: <frrevjo.net/journals/multidiscipline/Vol_2_num_2_art_17_Gowok.pdf> [Accessed 16 May 2013]. Harty, Martha and John Modell 1991. The first conflict resolution movement 1956–1971: An attempt to institutionalize applied interdisciplinary social science. Journal of Conflict Resolution, 35 (4), pp. 720–758. 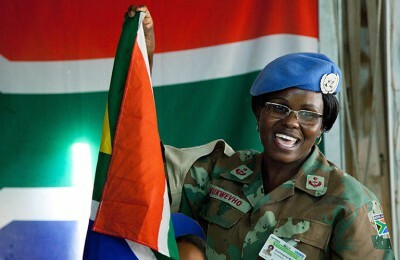 Institute for Peace and Security Studies (IPSS) 2012. Report on the Tana high-level forum on security in Africa, Available from: <www.tanaforum.org/index.php/component/…/> [Accessed 20 May 2013]. Israel, Itansa 2011. The quest for the survival of the Gada System’s role in conflict resolution. In: Yntiso et al. eds., pp. 299–320. Jenkins, M. 2004. How do culture, class, and gender affect the practice of restorative justice? (Part 1). In: Zehr, Howard and Barbara Toews eds. Critical issues in restorative justice. Monsey, NY, Criminal Justice Press. pp. 311–324. Koang, Tutlam 2011. Dispute resolution mechanisms of the Nuer. In: Yntiso et al. eds., pp. 408–433. Macfarlane, Julie 2012. Working towards restorative justice in Ethiopia: Integrating traditional conflict resolution systems with the formal legal system. 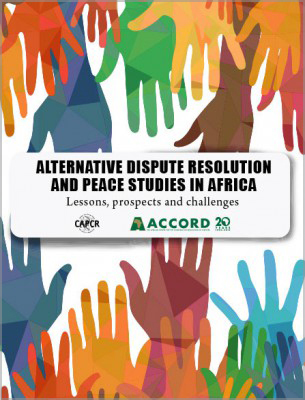 Available from: <chilot.me/…/working-towards-restorative-justice-in-ethiopia-integrating-t…> [Accessed 20 May 2013]. Mekonnen, Daniel 2010. Indigenous legal tradition as a supplement to African transitional justice initiatives. African Journal on Conflict resolution, 10 (3), pp. 111–122. Negarit Gazeta (Gazette Extraordinary), Civil Code of the Empire of Ethiopia Proclamation No.165 of 1960. Addis Ababa, Berhanenna Selam Printing Press. Okereafoezeke, Nonso 2002. Law and justice in Post-British Nigeria: Conflicts and interactions between native and foreign systems of social control in Igbo. Westport, CT, Greenwood Press. Schiller, Arthur 1966. The challenges and adjustments which should be brought to the present legal system of the countries of Africa to permit them to respond more effectively to the new requirements of the development of the countries. In: Schiller, Arthur ed. Legal aspects of economic development. New York, Columbia University Press. pp.193–200. Slade, Zoe 2000. 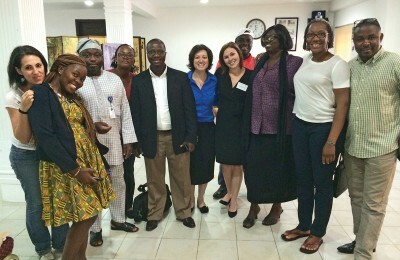 Access to justice in sub-Saharan Africa: The role of traditional and informal justice systems. London, Astron Printers. Tzadwa, Abba Paulos and Peter L. Strauss eds. 1968. The Fetha Nagast: The law of the kings. Translated from Ge’ez. Durham, Carolina Academic Press. Available from: <www.ethiopianorthodox.org/biography/01thelawofkings.pdf> [Accessed 12 April 2013]. Vanderlinden, Jacques 1966/67. Civil law and communal law influences on the developing law of Ethiopia. Buffalo Law Review, 16, pp. 250–266. Wodisha, Habitie 2011. 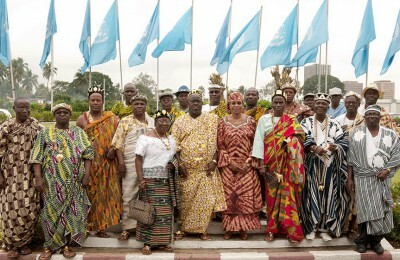 The Neema conflict resolution institution of the Boro-Shinasha. In: Yntiso et al. eds., pp. 434–468. Woubishet, Shiferaw 2011: Spirit Medium as an Institution for dispute resolution in North Shoa: The case of Wofa Legesse. In: Yntiso et al. eds., pp. 181–201. Zeleke, Meron 2010. Ye Shakoch Chilot (the court of the sheikhs): A traditional institution of conflict resolution in Oromiya zone of Amhara regional state, Ethiopia. 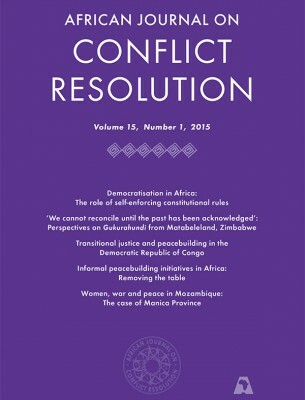 African Journal on Conflict Resolution, 10 (1), pp.63–84.